Theodore Jackson is a native of Lugoff, SC and the sixth of seven children. 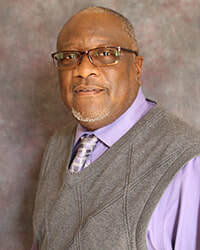 He is a 1975 graduate of Lugoff-Elgin HIgh School, 1999 graduate of Charleston Southern University - Master of Education in Administration, 1981 graduate of USC with a Master of Education, and 1979 graduate of Benedict College - BA in Elementary Education. He also worked as a Principal Mentor at Winthrop University through a US Department of Education Leadership grant from 2012 - 2014. Theodore retired from the Kershaw County School District as an elementary principal. He currently serves as President of the South Carolina Baptist Deacons Association, Treasurer of the South Carolina Christian Action Council, and member of the Kershaw County Board of Disabilities and Special Needs. Theodore is married to Octavia Brown Jackson, and this union is blessed with two sons; Terence and Quentin. They are proud grandparents of six grandchildren.